A skilled and available workforce is critical to the growth of Ohio’s bioscience industry. We understand that finding the right employer-talent connection is a daunting task for both companies and job seekers alike. As a membership benefit, BioOhio lists open positions with active member companies on this page. Companies are listed in alphabetical order and content is regularly updated. Members – if you would like to list your open positions, please submit details via this form. Job seekers – details regarding each job are available through the contact method listed for each company, and are subject to change at any time. For details on open positions, please contact the company directly. Abeona Therapeutics is focused on developing novel gene and cell therapy approaches for potential treatment of individuals impacted by rare diseases including Epidermolysis Bullosa, Sanfilippo Syndrome, and Batten Disease. Learn more at AbeonaTherapeutics.com. Aerpio Pharmaceuticals is a biopharmaceutical company focused on advancing first-in-class treatments for ocular diseases. Learn more at Aerpio.com. American Regent develops, manufactures, and supplies high quality sterile injectables for healthcare providers, clinics and hospitals. Learn more at AmericanRegent.com. QC Microbiologist | Aseptic Cleaner | Filling Operator | Component Prep Operator | GxP Systems Team Leader | QA Operations Materials Associate | QA Operations Associate | R&D Analytical Chemist I-III | R&D Analytical Scientist | R&D Document Coordinator | R&D Formulation Technician | R&D Technical Services Chemist I-II | R&D Vendor Relations Specialist. Engineering Intern | Inspection & Packaging Intern | IT Intern | Quality Intern | Chemistry Intern | Microbiology Intern, |Research & Development Intern | Regulatory Affairs Intern | Validation Intern. AtriCure, Inc. provides innovative technologies for the treatment of Atrial Fibrillation (Afib) and related conditions. Learn more at AtriCure.com. Charles River is an early-stage contract research organization (CRO). Learn more at criver.com. Mason, Ohio based Clarigent Health is using artificial intelligence and machine learning to study a person’s language and speech patterns to detect warning signs of suicide ideation or other types of mental illness. With preventative care at the forefront of the company’s mission, this startup aspires to revolutionize how everyone from schools to clinicians detect and treat mental illness. Learn more at ClarigentHealth.com. Click here to send your resume to svetlana.pundik@case.edu! The Cleveland FES Center is a consortium of five nationally recognized institutions: Louis Stokes Cleveland VA Medical Center, MetroHealth Medical Center, Case Western Reserve University, University Hospitals of Cleveland, and the Cleveland Clinic Neurological Institute. Learn more at FEScenter.org. Convelo Therapeutics is a biotechnology company developing a new class of medicines that unlock the regenerative capacity of the central nervous system. Learn more at ConveloTX.com. Eccrine Systems, Inc. is developing non-invasive, electronic wearable systems that measure and transmit real-time data about human sweat. Learn more at eccrinesystems.com. ExoNanoRNA was established in 2017 to spearhead the translation of RNA nanotechnology into an innovative delivery system able to improve the therapeutic outcome of patients with infectious diseases and cancer. Learn more at ExoNanoRNA.com. Click here to send your resume to mycurrentresume2019@gmail.com! Gleeson Laboratory works hard to provide our customers with superior quality construction management, engineering, materials, installation, design-assist and design-build services. Learn more at gleeson.pro. Click here to send cover letter and resume to mbruckman@haimatherapeutics.com! Haima Therapeutics is a pre-clinical stage biotechnology company focused on developing bio-inspired therapies for treatment of bleeding and other blood-related ailments. Learn more at HaimaTherapeutics.com. Interplex Medical is dedicated on the design, development and manufacture of next generation medical devices for OEM’s and startups. Learn more at InterplexMedical.com. Click here to send your resume to careers@jalexmedical.com! JALEX Medical is a privately-held design, engineering, and product development firm that specializes in custom product development for the medical device industry with an emphasis on Class I & Class II devices. Learn more at JALEXMedical.com. At Kaleidoscope Innovation, we help our partners identify, design and build products and experiences that support, heal and empower. Learn more at kascope.com. Medpace is a scientifically-driven, global, full-service clinical contract research organization (CRO) providing Phase I-IV clinical development services to the biotechnology, pharmaceutical and medical device industries. Learn more at medpace.com. Myriad Neuroscience’s technology, GeneSight®, is a clinically proven test to enhance medication selection for healthcare providers, helping them get their patients on the right medications faster. Learn more at myriad.com. NAMSA is leading contract research organization (CRO), and the world’s only medical research organization (MRO), providing expert regulatory, laboratory, clinical, and compliance services to medical device and healthcare product manufacturers. Learn more at NAMSA.com. The Research Institute at Nationwide Children’s Hospital is one of the largest pediatric research centers in the United States and is ranked in the top 10 for National Institutes of Health funding among free-standing children’s hospitals. Learn more at NationwideChildrens.org. Clinical Genomics Variant Analyst (Master’s or PhD level Genetics/Genomics Research). North Central State College is accepting applications for a full-time 9-month Human Anatomy & Physiology/Biology Faculty position. The position will begin Fall Semester (August 15, 2019). Learn more at ncstatecollege.edu/jobs. 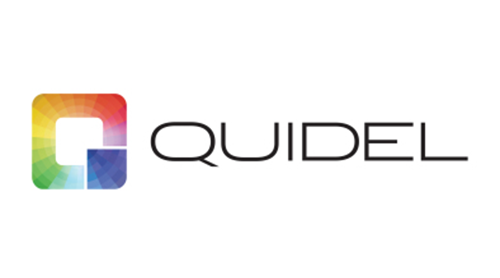 Quidel Corporation is a leading diagnostic healthcare manufacturer serving to enhance the health and well-being of people around the globe through the development of diagnostic solutions that can lead to improved patient outcomes and provide economic benefits to the healthcare system. Learn more at Quidel.com. Thermalin is engineering new forms of insulin that will lower the burden of insulin use, increase patient adoption of and adherence to insulin therapy, improve patient lives and outcomes, and lower the cost of caring for people with Type 1 Diabetes (T1D) or Type 2 Diabetes (T2D). Learn more at Thermalin.com. Click here to send cover letter and resume to dcrowe@ues.com! UES, Inc. is an innovative science and technology company highly regarded for providing research and technical expertise to our government and industry customers. Learn more at UES.com. The University of Cincinnati Department of Biomedical Engineering (BME) is seeking a Department Head with the vision and leadership skills to expand and lead the transformative growth of BME to become the focal point at UC for inclusive and collaborative translational biomedical research, experiential learning and technological innovation. Learn more at UC.edu. Click here to send cover letter and resume to acothrel@xactmedical.com! With technology exclusively licensed from Cincinnati Children’s Hospital and Ben Gurion University, Xact Medical is developing a pioneering product in the field of point of care robotics – the Fast Intelligent Needle Delivery System, or FIND. Learn more at XactMedical.com.